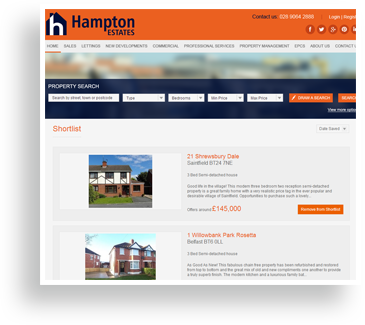 Contact us today on 028 9064 2888 for a chat about your property needs or for your free, no obligation valuation. 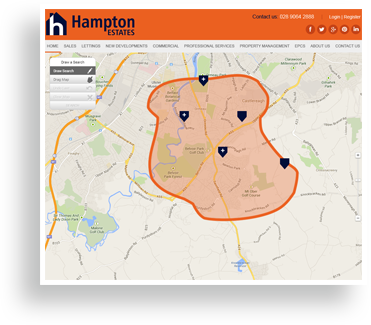 Once Registered with Hampton Estates, you can receive email alerts and save properties to your account. 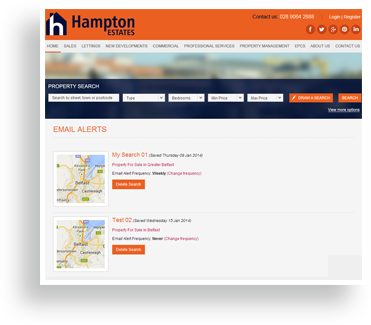 Receive daily or weekly alerts about the latest properties directly to your inbox, so you don't miss a thing! You can even draw around areas you like with our new Draw A Search facility!